Thanks to Tobs, I’ve been eating well and trying new place! We went to Baker Street Pub and Grill (for the second time). I’m a creature of habit so I ordered what I ordered the first time I went there– Sherlock Sliders! The first time I had them, I had a trio of Fish, Southern Style chicken, and Beef. I looooved the fish. However, the Town center didn’t have fish. I went with three Southern style chicken sliders. Guess what, still delicious! The fries were nicely seasoned and complimented the burgers excellently. My tummy was happy and so was my wallet. All the food was under $10. 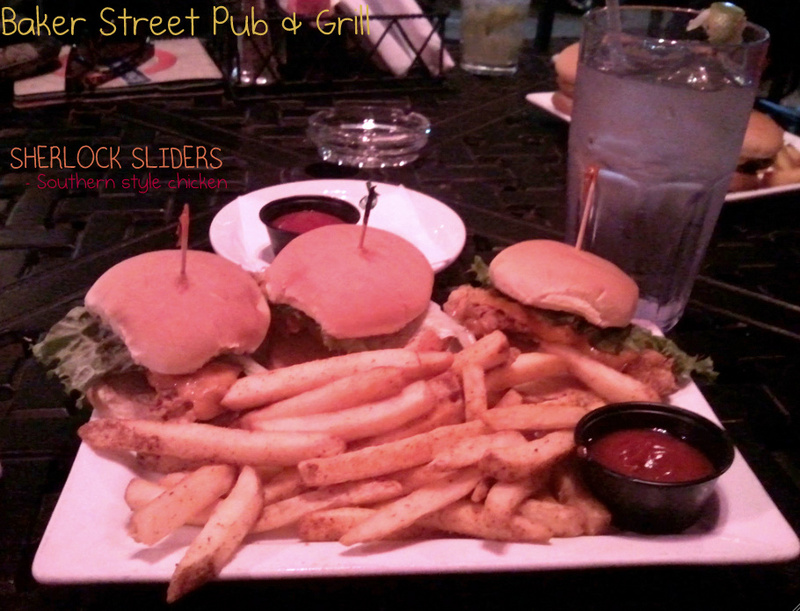 Baker Street Pub & Grill gets my stamp of approval for these sliders!